BENGHAZI, Libya (Reuters) - Saif al-Islam, a son of the late Libyan leader Muammar Gaddafi, remains in the prison in western Libya where he has been held since the 2011 uprising that toppled his father, a military source said on Thursday, contradicting media reports that Saif had been released. Since his father's downfall, Saif has been held in Zintan, a mountainous western region, by one of the factions that began contending for power after Gaddafi was killed in 2011 and have now split the country into warring fiefdoms. 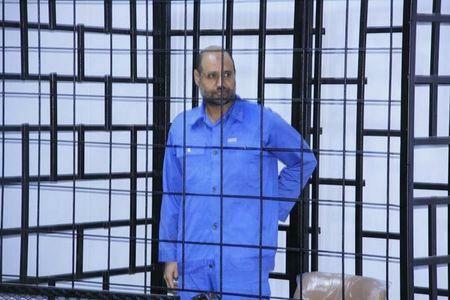 "We deny that Saif Islam has been released," the Zintan military source told Reuters.